Hexagone Balard: Why France’s new Pentagon-inspired defense ministry is a hexagon. 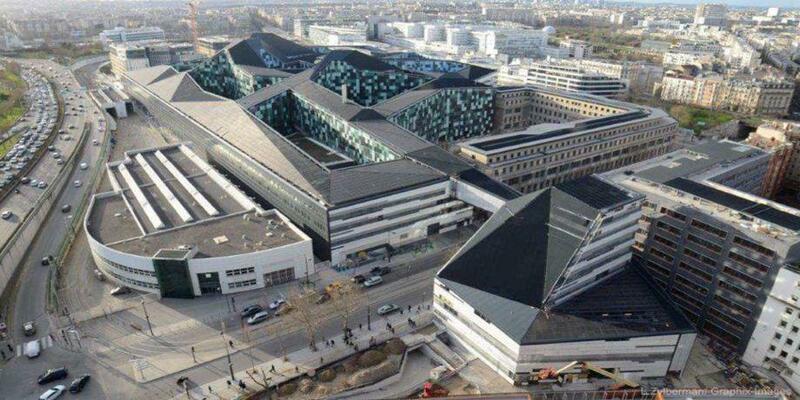 The new French Pentagon, L’Hexagone Balard, in Paris. On Thursday, French President François Hollande inaugurated the country’s new Ministry of Defense, a $4.5 billion project that has long been billed as France’s answer to the Pentagon. For the first time, more than 9,000 personnel from the French Army, Navy, and Air Force have abandoned a dozen scattered offices in charming 18th-century mansions in Paris and nearby suburbs to unite under one roof. 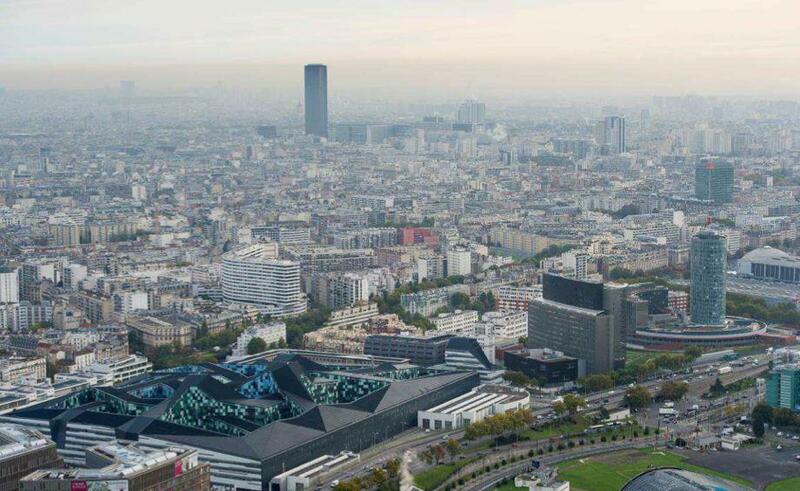 The French government is calling the new seven-story control-and-command center built on 41 acres around a former army air base near the Balard Métro station in the 15th arrondissement “a major step in the process of modernization” of its military operations. The hexagon-shaped atrium can be seen at left. While the press release indicates that France’s Hexagone Balard is “naturally” named after the shape of the building, it’s hard to make out the two hexagonal structures that apparently form the west end of the complex, which looks to the naked eye like a sprawling maze of peaked roofs and mosaic blue tiles (though a small hexagonal atrium is easier to spot). But naming the building after a hexagon has a deeper meaning. Unlike the Pentagon, whose five-sided shape was determined by the architect because of the topography of existing roads on the original build site, the hexagon is a visual symbol of France’s hexagonal-shaped geography, which long ago earned it the nickname the Hexagon (“L’Hexagone”). Inevitably, the new building is somewhat of a winking reference to the Pentagon—plus a tacked-on reference to its location near Métro Balard. Meanwhile, some people have already rebranded it as the Balardgone, which doesn’t sound any less clunky with a French accent. The complex includes three day care centers, the largest solar-paneled roof in Paris, a gym, a hair salon, 12 gardens, two cafeterias, an auditorium, and a $32 million pool.